Also used as a flavorful herb in cooking, sage is an herb commonly used as a digestive aid. Although more research is needed to examine the purported benefits of sage, alternative medicinal uses of sage include sore throat relief, reduced sweating and anxiety, and enhanced mental function. Sage is available over the counter as a liquid tincture, an extract, capsules and tea. Consult your doctor before you decide to begin drinking sage tea on a regular basis. The amount of sage tea you need to drink daily may depend on your health, age or weight. Only a medical professional who knows your medical history can recommend an appropriate dosage of sage to meet your health needs. Sage tea is prepared by steeping 1 to 3 g of dried sage in 1 cup of boiling water. Adults can consume up to 3 cups of this medicinal tea each day, according to the University of Pittsburgh Medical Center. If you consume sage tea as recommended, you usually won't experience unpleasant side effects. Drinking too much sage tea may cause dizziness, abdominal pain, nausea or vomiting. 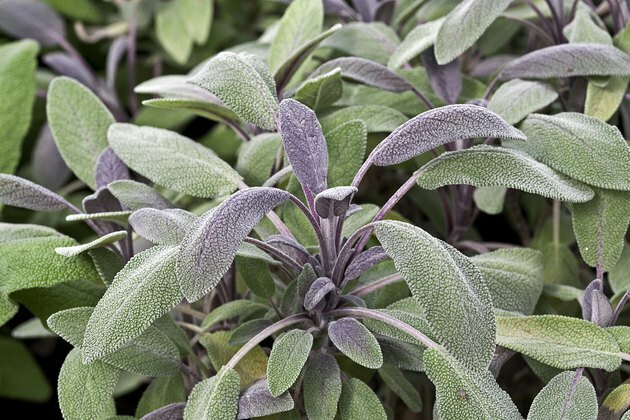 In severe cases, too much sage may also cause liver damage or seizures. Seek prompt care from your medical provider if you develop persistent side effects or experience any severe side effect after drinking sage tea. Sage tea should not be consumed by people who have certain health concerns or are taking other medications. Women who are pregnant or breast-feeding or anyone with a personal history of seizures, diabetes, or liver or kidney disease should avoid drinking sage tea. Avoid consuming sage tea if you're taking a sedative because this treatment combination may cause severe fatigue. Drinking sage tea while you’re taking diabetes medication may cause hypoglycemia, or severely low blood sugar. In addition, avoid taking medication to prevent seizures while using sage tea because sage may reduce the effectiveness of the anticonvulsant treatment.